Emojis—the little picture expressions fastened to text messages, web pages, and now emails—are everywhere. Emojis were born and thrive in the mobile environment. As Americans spend more and more time on their mobile devices, it’s hard to ignore emojis as a new marketing technique to effectively reach your audience. Emojis are succinct and fun means of expression. Feeling silly? Send the “Dancer.” Approve of a decision? “Thumbsup” it is! Having a tough day, but want to remain optimistic? The smiling “Poop” emoji might be the ideal fit. People of all ages are warming up to emojis, and now savvy businesses are including them in their email subject lines. Before getting too “Heart Eyes” over the idea, consider these tips before using emojis in email subject lines. The average Internet user is inundated with a lot of digital information: tweets, posts, comments, emails, updates, notifications, the list continues. When advertising your brand, standing out is key. 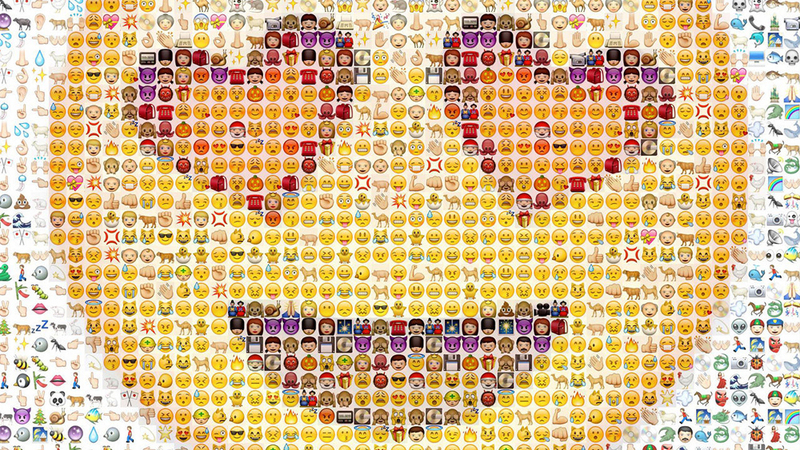 Emojis, through their color and whimsy, pop in an otherwise homogeneous landscape. Studies indicate emails with emojis in their subject lines get opened 45% more often. Brevity is a cornerstone to communication. Readers get bored easily and don’t have time to waste on deciphering the complicated text. Emojis can convey ideas quickly and save text space. By shortening subject lines with emojis, you bump the odds that your clients will see the full message on their mobile devices. In this awesome post from Buffer, they attribute the rise in emoji popularity correlates with the decline of internet slang. With the decrease in internet slang, emojis are replacing them with full force as we are now effectively replacing full sentences with emoji to convey the same meaning. So instead of trying to work popular slang into your marketing, you can get the same impact easier than ever without it looking forced. Emojis are not for every business. They convey emotion, tone, and a certain degree of informality; if informality or silly tones don’t match your business, don’t use emojis—even the more restricted ones. Consider the age demographics of your audience. Millennials are the vanguard generation of emojis. They’ll feel encouraged, not alienated, by emoji use. Older generations, however, run the opposite risk; they may not understand some of them or the social connotations attached to specific emojis. Not all email reading devices know how to render all emojis. Before sending out an important email, research which emojis will translate on which platforms and which will appear as indecipherable text or code. Here’s your emoji bibile from Unicode which will show you how each emoji appears on different platforms as well as their meanings and annotations. Make it easy to follow. Do a test with one emoji and then test adding more in a logical order to tell a story. You must A|B test the use of the emojis on your audience! See how they work on different emailing platforms, on desktop and mobile. Test how your clients respond to emails with emojis in subject lines and those without. Also test different emojis to see which ones will work best for your messaging. Explore emoji options! Lesser used emojis may be more relevant and engaging to your message; the solution is not always the Poop emoji.